Fawn is the pet project of singer-songwriter Ilana Zsigmond, taking its name from her delicate folk-inspired songwriting. The indie folk four-piece was built upon a collection of songs written by Zsigmond over her time spent in both New Haven, CT and York, UK, bringing an upbeat and dynamic electric edge to their sound. 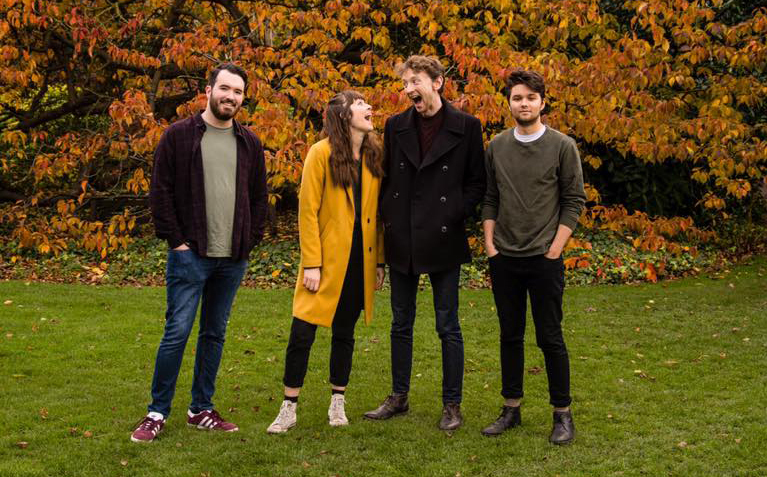 Following the release of their solo folk EP ‘Homebody’ in 2017, the band have been working on a fully-formed release, and plan to be seen at venues across the country from 2018 onwards. Top supports for this show too. Brought up on the Yorkshire Moors Amy May Ellis has a sparse almost high lonesome sound often performing solo. On this occasion as a duo with bass. Also a duo will be Leeds band Crake who’ve shed a few members for tonight and opening things up is Laura Kindelan who although still a tender age has silencing audiences the city-wide a long while.